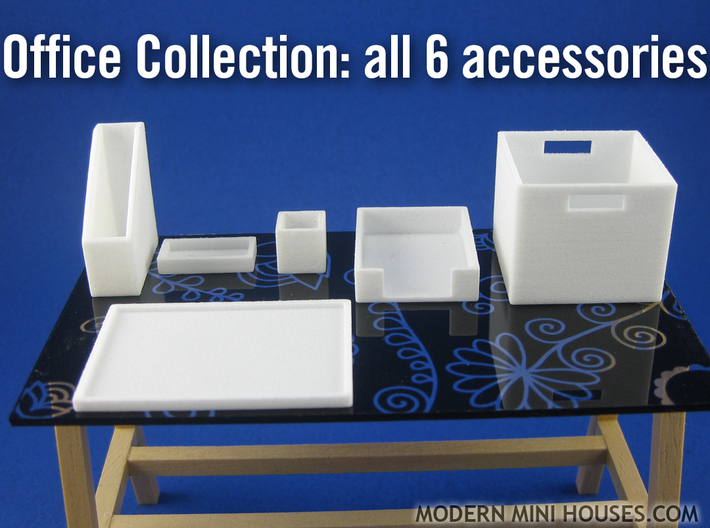 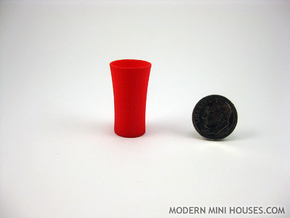 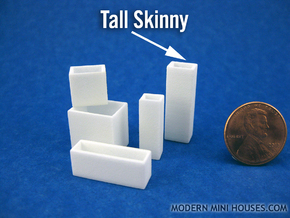 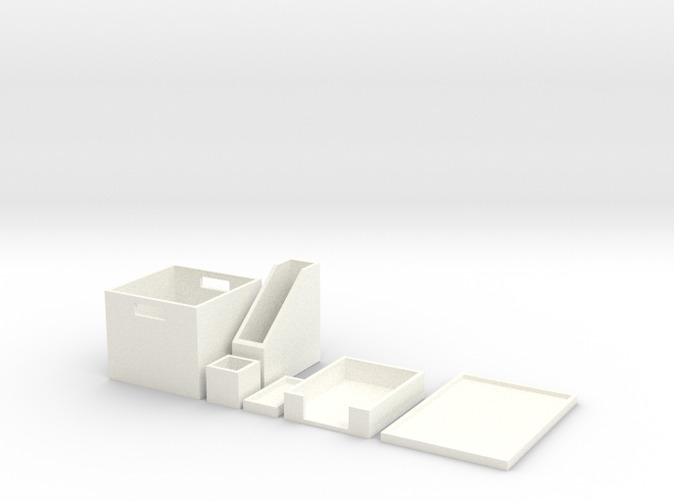 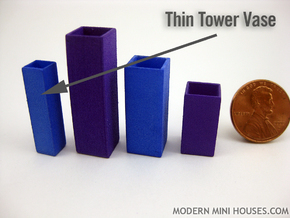 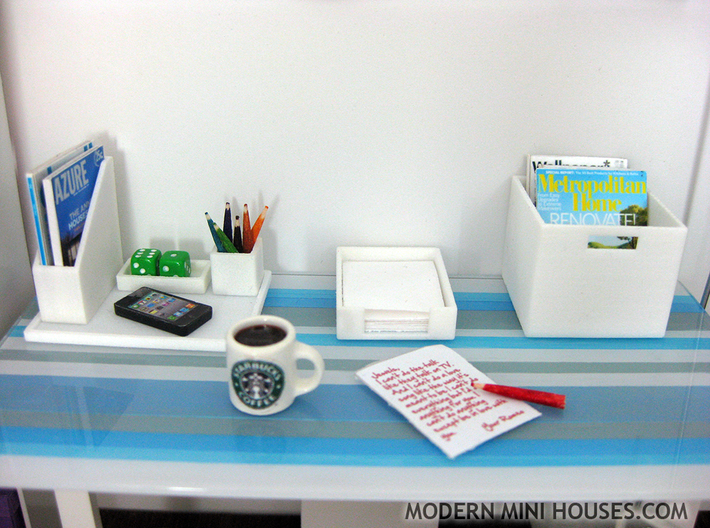 The 1:12 scale Office Collection includes all the accessories needed to organize your miniature office accessories. 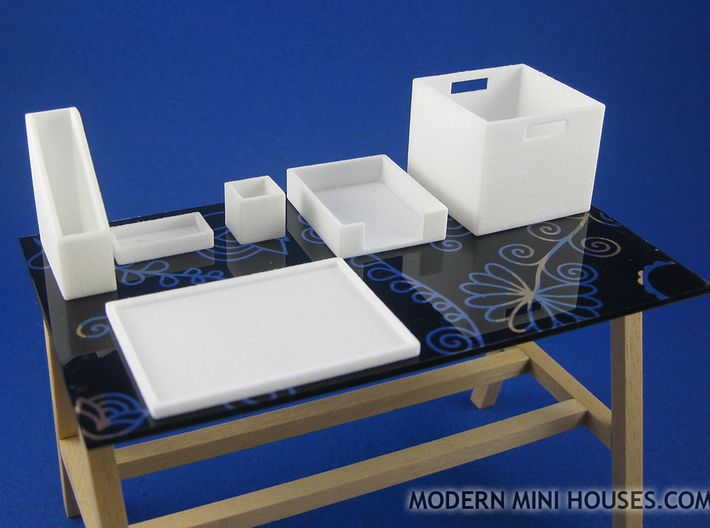 6-piece set includes: Magazine Butler, Trinket Tray, Pencil Cup, Paper Tray, Storage Bin and Catchall Tray. 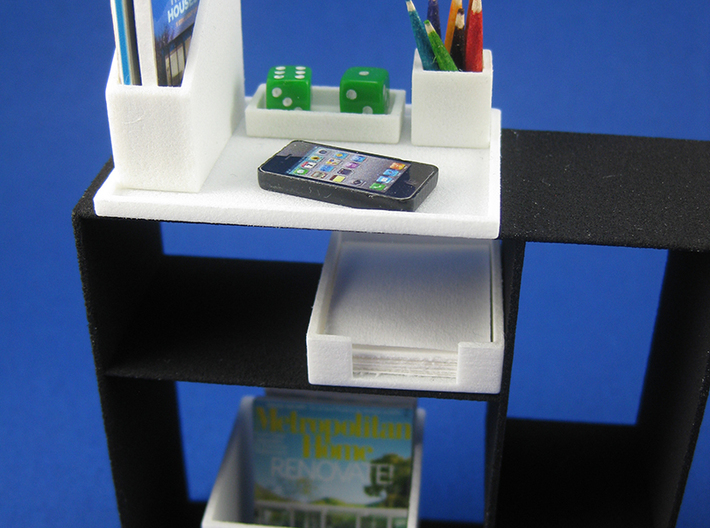 All items are also sold individually if you need additional office accessories.